Howdy Folks! Hope you are well. 2014 has arrived and we’re already in March can you believe it? Time seems to fly. And it seems like an age since I began working on the album whose songs were conceived while in Berlin in 2011. Wow. Tattoos weren’t even trendy then, let alone beards, and we hadn’t even heard of Instagram. But 2014 feels like the time to begin again. Work has recommenced on said album at my newly located home studio in an old timber church in Northern NSW. I have enlisted Bernard Fanning bandmate Matt ‘The Professor’ Englebrecht to assist my in realising the sounds I hear for the album. We have been laying down some Phat Beatz and all is sounding swell to my ears. Completion is nigh. Had a ball in the last half of last year on the Bernard Fanning Fanning train by rocking out live tunes off his Departures record. I’d like to publicly thank BF and all the crew, management and band members and all involved in our travels. And for any of you who came along and heckled me! Got to hang out with some great acts such as Big Scary and Vance Joy, and forge some new friendships. Check these guys out if you already haven’t. 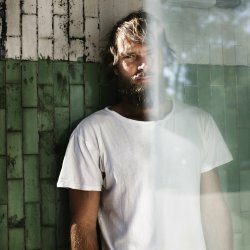 Although Vance is hard to miss atm with his hit single ‘Riptide’. Onya James! I’ll also be playing some live shows this March at newly opened Brisbane city bar The Gresham, performing every Wednesday evening. It’s a great swanky space in a historic building in the heart of the city. I’m surprised theres any left actually, the Dean Bros must have missed that one. Anyway, I’ll be playing solo and acoustic, some of my greatest misses, plus a selection of cover songs that have inspired me over the years and that I can actually remember the lyrics to. Or almost. It’s free entry and i’ll be occupying the stool from 730pm onwards. OK, so I’ll be back soon with word on the new album progress. Hope to see you at the Gresham. Help fight the good fight! Andrew Morris has completed an epic Euro-rock opus written in Berlin! This, however, is not it. No, the Brisbane stalwart, best known for his work with Bernard Fanning and The Wilson Pickers, as well as a series of crafted solo albums, needed a break from all the brooding. Inspired by Tom Hodgkinson’s counter-consumer culture manifesto, How To Be Free, he summoned as many of the members of The Gin Club as he could muster, put on the beers and banged down a few unrehearsed gems in his newly set up Northern Rivers home studio. The set, informed by Morris’s current solo shows, includes a crop of live faves like Dylan’s ‘It Takes A Lot To Laugh, It Takes A Train To Cry’, Gillian Welch’s ‘Look At Miss Ohio’ and Tim Rogers’ (You Am I) ‘Heavy Heart’. The track list is completed by an acoustic reworking of ‘Lover’ from Morris’s Needs & Wants album and a handful of new originals, including ‘The Uplift’, featuring some of Banjo Patterson’s writing set to music. The result is a session coruscating with uncommon vigour and spontaneity. And yet most of us would give a tooth to be able to engineer a product of such sonic warmth in the space of a weekend. 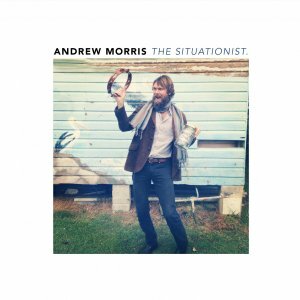 The Situationist – another lesson in song-serving intuition from Andrew Morris – is being released through Morris’s own label, Soul Arch Recordings. As for the epic, brooding Euro-rock album… you’ll have to wait a few more months for that.